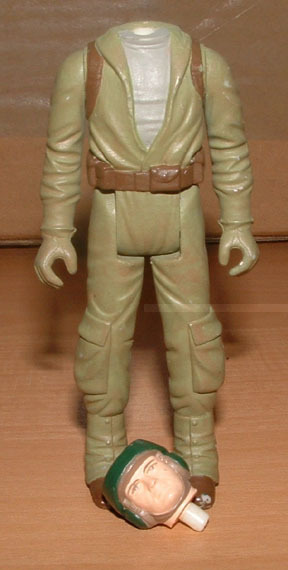 This Rebel Commando represents a spectacular looking example of a protomolded figure. 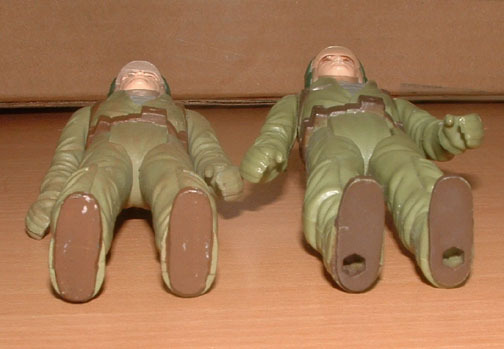 The protomolded figure, shown on the left, is entirely hand painted. The addition of extra brown details throughout the outfit, absent on the production figure, gives the prototype a substantially different look. 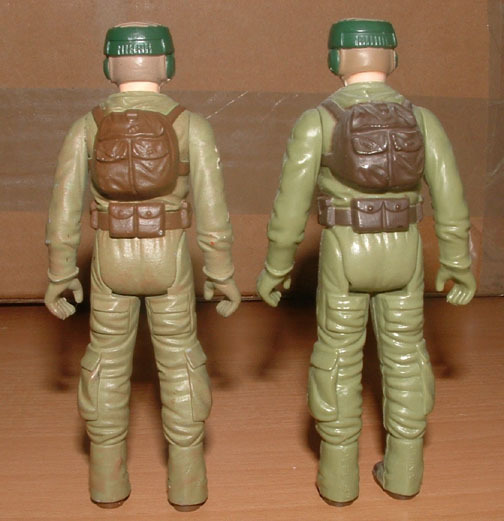 The second photo affords a rear view of the protomolded figure (left) and production figure (right). 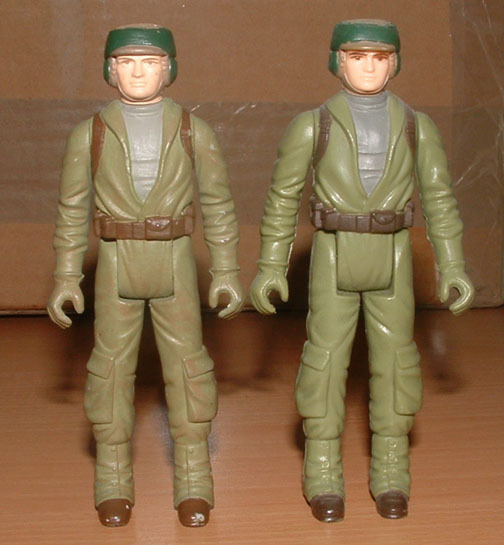 Protomolded figures always lack foot holes, like the Rebel Commando, and never exhibit copyright information or country of origin markings. Those characteristics do not come into play until the steel production molds are developed. The head is removable on this example and attaches to the torso in a similar way that it would on a hardcopy.